Christmas came three months early for Will & Grace fans. 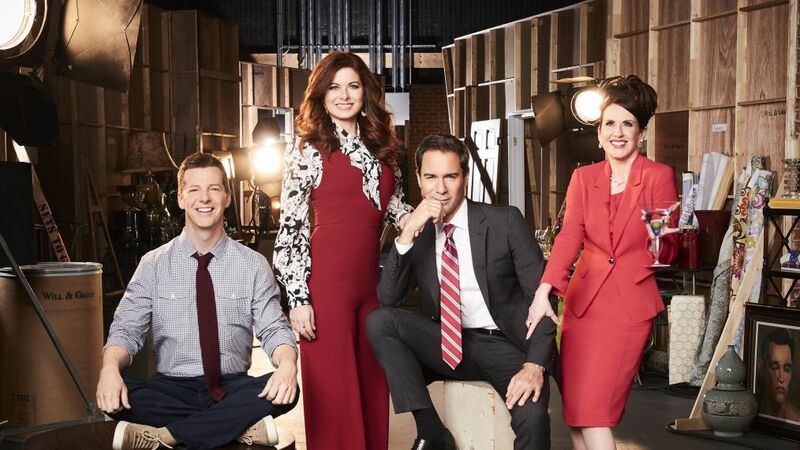 Since the fab four (Sean Hayes, Megan Mullally, Debra Messing and Eric McCormack) returned to TV with their revived sitcom in September, they’ve pulled in strong ratings thanks to their crackling chemistry, must-see storylines (RIP, Rosario) and LOL quips about life in 2017. For its holiday episode, titled "A Gay Olde Christmas," the sitcom turns back the clock…to 1912. “We tell our version of the Scrooge story,” Messing says of the holiday episode. And it’s Will (McCormack)—not sarcastic Karen (Mullally)—who’s the iconic Christmas Carol miser! "You see the four characters from Will & Grace playing other characters. It's kind of our version of the Scrooge story. Will plays the Scrooge and I play his Jewish immigrant wife." What we're craving now more than ever is chicken soup for the soul. Mullally is an Irish mother (of nine!) and Hayes brings laughs as her friend trying to stop landlord Will from truly going Scrooge on her and her brood. “Megan's character is about to be evicted on Christmas Eve. Her friend, Jack, also an Irish immigrant, thinks that he might have a way in which he can convince the landlord not to evict her." Messing shared that shooting the back-in-time episode was a chance for the show to "do something we've never done before. It was so fun, and so funny, and so beautiful. The costumes, the hair, the set design; they went all out. If I had anything to do with it, all the designers would get an Emmy for this episode because it's really that special." For Messing, there are parts of the holiday she personally loves and others she could do without. "I like being in New York for the holidays," she says. "I like the snow, Rockefeller Center with the skating and the big tree. I love all of that. In terms of shopping and the stress of the holidays, in that regard: no, I'm not a big fan."